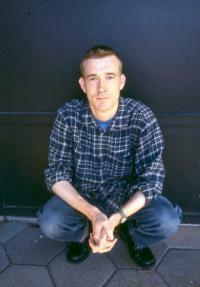 David Mitchell is an internationally bestselling two-time Booker Prize finalist, a Time magazine 100 Most Influential People, and a Granta Best Young British Novelist. His first novel, Ghostwritten, was awarded the Mail on Sunday/John Llewellyn Rhys Prize for the best book by a writer under 35 and a Guardian First Book Award finalist. His second novel, Number9Dream, was a finalist for the Booker Prize finalist and the James Tait Black Memorial Prize. His third novel Cloud Atlas was short-listed for the Booker Prize and the National Book Critics Circle Award, and was an international bestseller. His most recent novel, Black Swan Green, was long-listed for the Booker Prize and named a Time Best Book of the Year. He lives in Ireland with his wife and two children. THIS EVENT WAS RECORDED LIVE AT SKYLIGHT BOOKS ON JULY 23, 2010. Copyright &copy; 2011 Skylight Books. All rights reserved.